Anastasia is a classic fold style wedding invitation featuring pretty handmade flowers with glitter and crystal centres (Evening invitations, available without crystals). 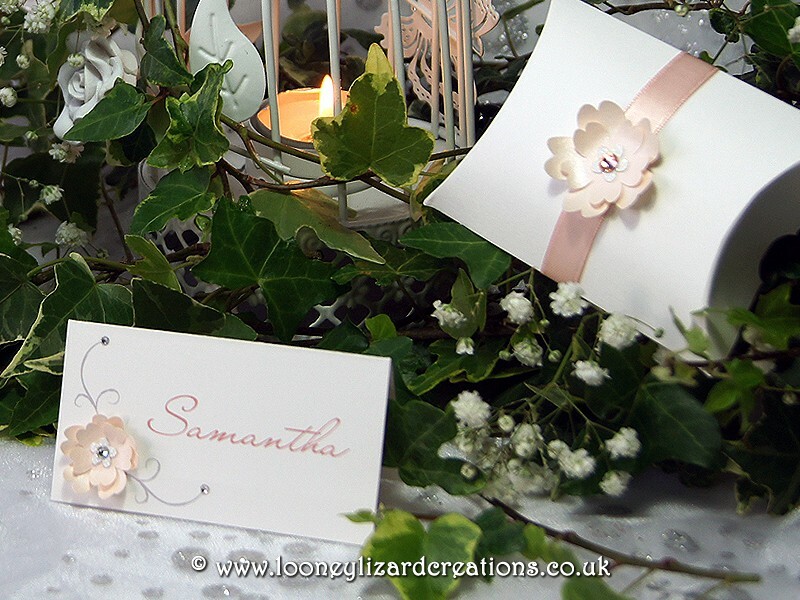 Perfect for any wedding at anytime of the year, due to the wide range of colours available. 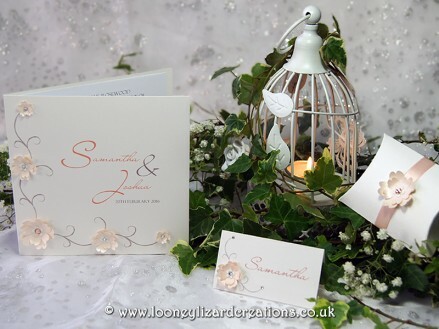 Each invitation measures 144 x 144mm (14.4cm & 14.4cm) and comes with a plain white envelope (pearl envelopes available for a small additional cost) and can be made on either our textured white or smooth sparkle natural white boards. Made using genuine Swarovski Elements. To order a sample in your preferred colour please see the options above before adding to your basket. 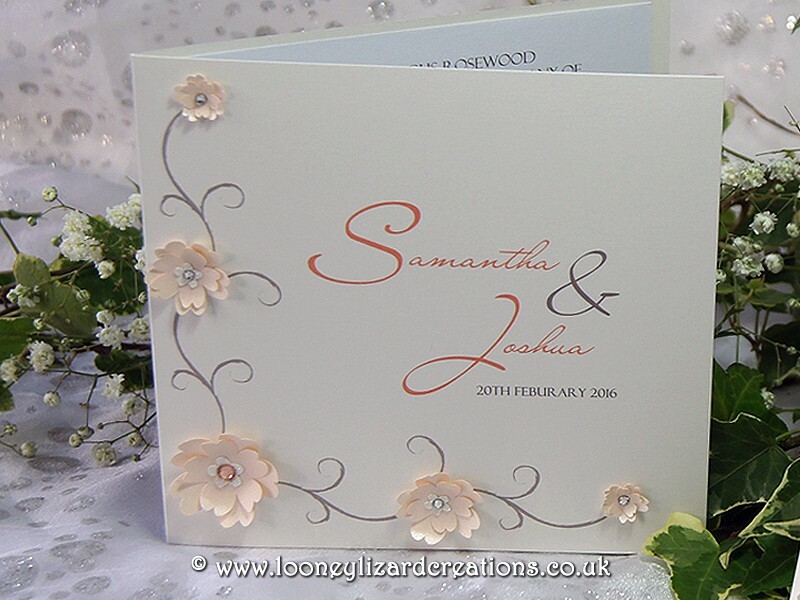 More than one colour can be added to this design, for example a mix of black and white flowers. If this is something you would be interested in, please do contact us to discuss your requirements. Thank you so much for our beautiful wedding invitations in aquamarine sherrie, they are just perfect. I now cant wait to see what the place cards, and table plan will look like! !